Believe it or not “Handfish” really have a pair of "hands"! No, these are not actual hands like a human (or a monkey) but modified fins. The magic of evolution has changed their pectoral fins into hand shaped things. But alas, they use their “hands” for walking. It seems that they do not know how to use hands properly. Handfish is a type of Anglers Fish. 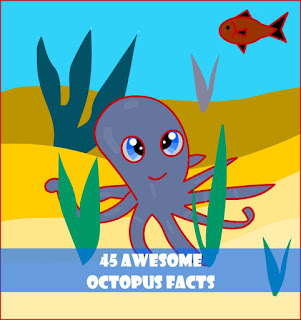 They belong to the fish family named Brachionichthyidae. There are only a few species of that fish family alive today. Most other species are no more. 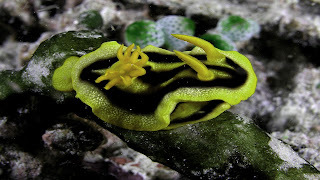 They live in the sea bottoms (Benthic Zone). If you want to see a Handfish in its natural environment, visit the seas around Tasmania to dive into the ocean bottom. Coastal waters of South Australia are another good place to see one. Handfish is a small fish. The hunks among them scarcely cross 6 inches in length. The fish of skin is covered by denticles. These are small tooth like scales which are very rough and tough. 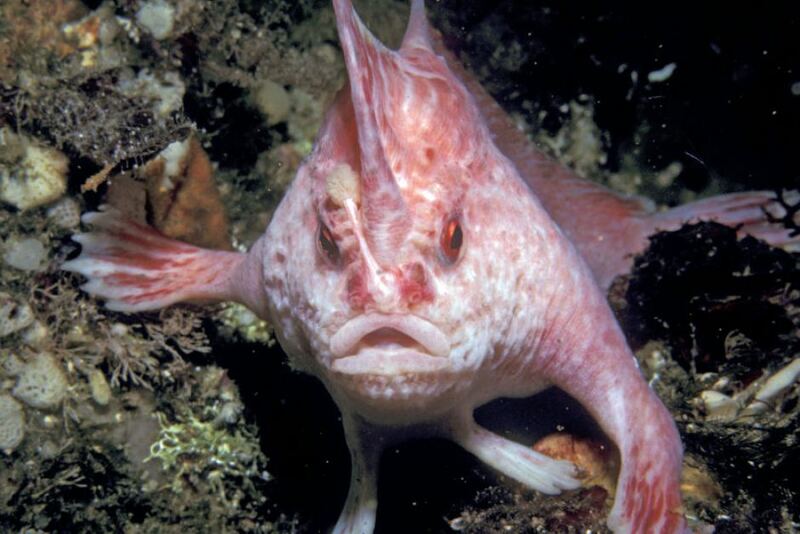 Handfish use their pectoral fins aka hands to move around the sea floor. Their hands are their legs which let them move slowly. Australian Spotted Handfish or Brachionichthys hirsutus is a species which is in the IUCN red list. That means the fish is in danger to be extinct soon. 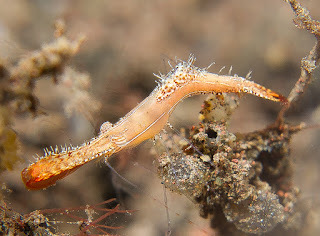 These Handfishes are endemic to the estuary of Derwent River, Tasmania. It is very rare now. 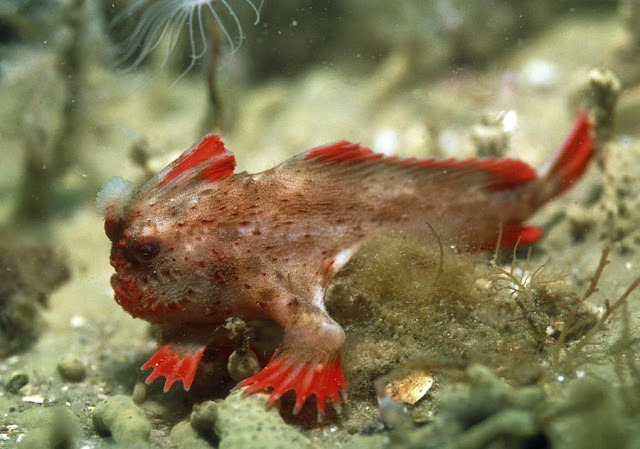 The Australian Handfish is not a deep ocean dweller. 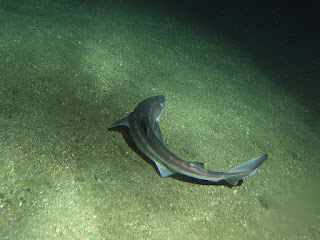 Their habitat is limited to a deapth of only 2 to 5 meters.The actual diet of these fishes is not totally clear to everyone. But we can say that they like to it some shrimps, small crabs, small shellfish and sea worms. 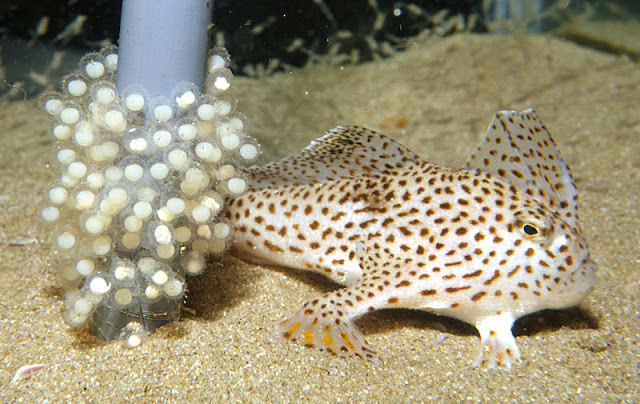 The breeding time of the Handfish is September to October. The mama fish loves to lay eggs in vertical things. They use sea grasses or stones to lay their eggs. One female can lay 85 to 250 small eggs. Pink Handfish is another type of the genre which was unknown before 1990s! This species is extremely rare to found. One such specimen can be located only after extensive searching. This photo of the pink handfish is taken by Karen Gowlett-Holmes. 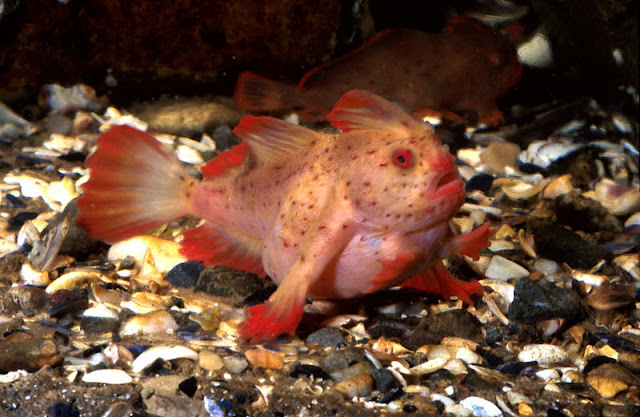 Another critically endangered species of handfish is the Red Handfish or Thymichthys politus. Due to its brilliant color it looks beautiful. That red fish also has two separate groups identifiable by color patterns. This photo is collected from here. 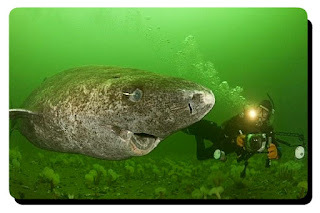 It lives in the waters around the eastern coast of Tasmania. Loss of costal planes for various developmental works has reduced their living grounds. Another major threat is egg eating fishes and worms. Pollution is another cause of worry. So, we need to do something to save wonder of the nature. Both of the images are from Wikimedia Commons. These photos are taken by Mark Green or CSIRO ocean research. Do not forget to follow our Twitter or Pinterest account or the Facebook Fanpage. See the video to understand how a Handfish uses its "hands" to "walk" under the sea.